Let’s cut to the chase: it’s high time that we get started on this fall thing. 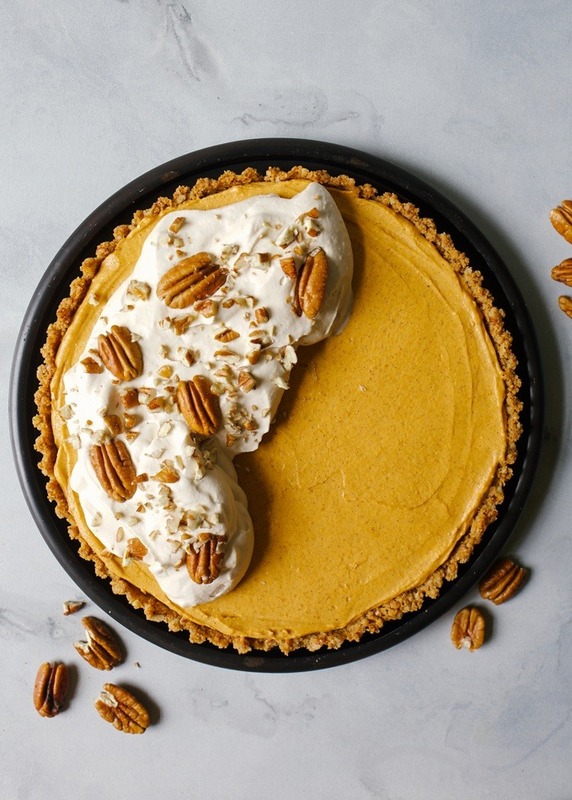 In the spirit of turtlenecks and jewel tones and crunchy leaves, today I’ll be chatting about this super simple pumpkin pecan tart that just screams, “AUTUMN!” As a bonus, we’re also going to share some recipes from a number of other bloggers who are sporting pumpkin goods on their sites today. Talk about a happy Monday, huh!? So first up is the pumpkin pecan tart. I’m all for recipes that can be thrown together in a pinch. 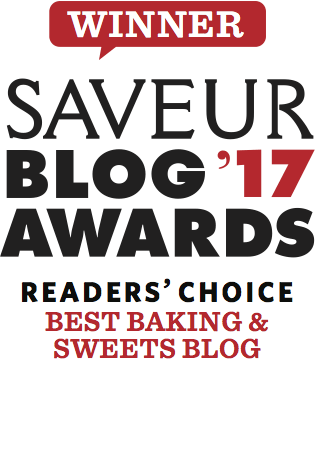 There’s something very satisfying about taking on a baking challenge, but sometimes we need a few recipes in our back pocket that taste terrific without hours of stressful work. 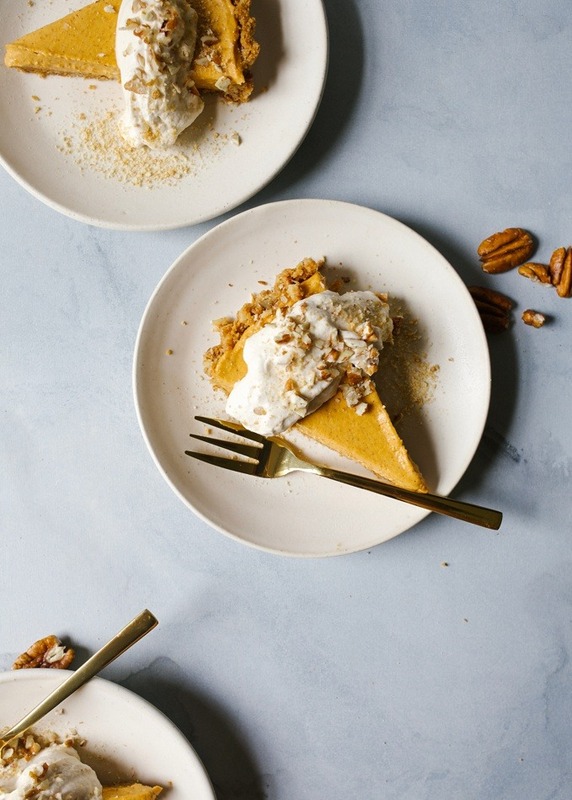 I have a feeling that this pumpkin pecan tart will be your go-to for the fall. Let’s get started with the crust. 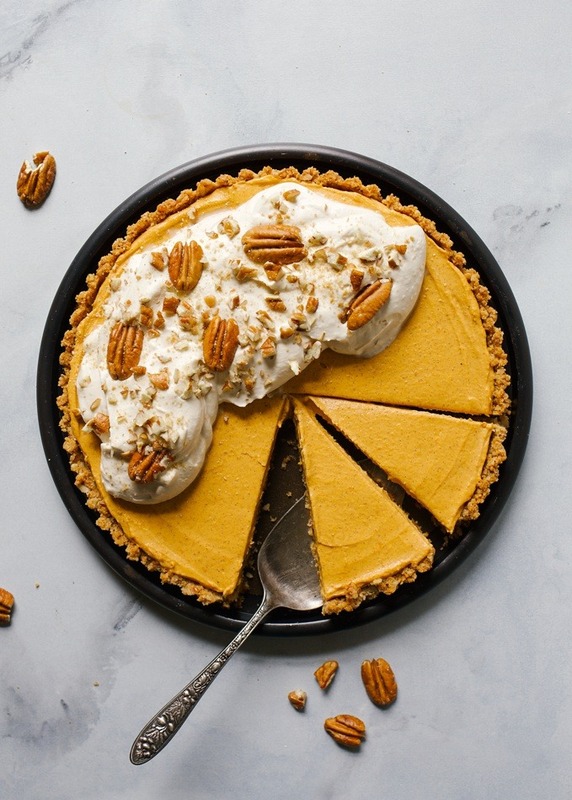 Here, we use a simple graham cracker crust that is elevated with the addition of finely chopped pecans and the just-right amount of butter. 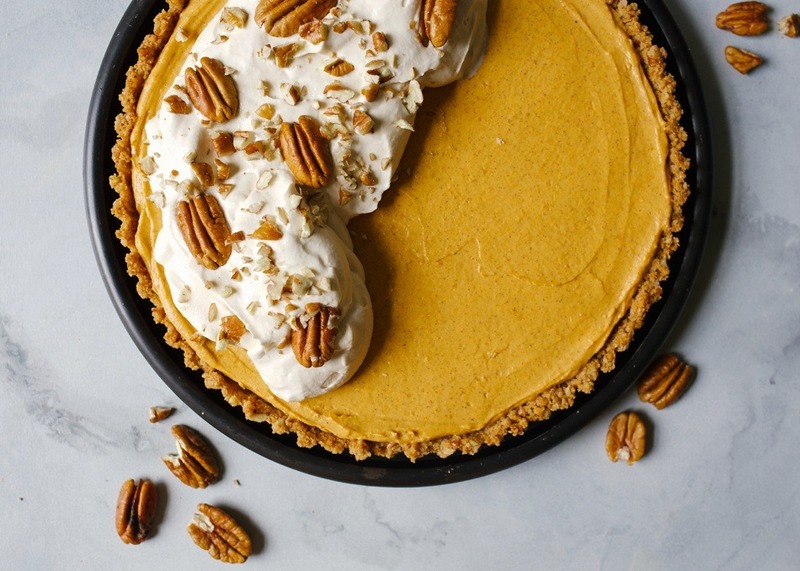 The pecans add ridiculous flavor to the otherwise simple crust and they’re a pretty perfect combo with the pumpkin. The filling is a cream cheese and canned pumpkin base with not a whole lot extra added. Of course there’s cinnamon, some pumpkin pie spice, and sugar, but other than that the ingredients here are minimal. Simply cream together the pumpkin and cream cheese, add the remaining ingredients, and smooth the whole lot of it into the pie crust. That’s it! 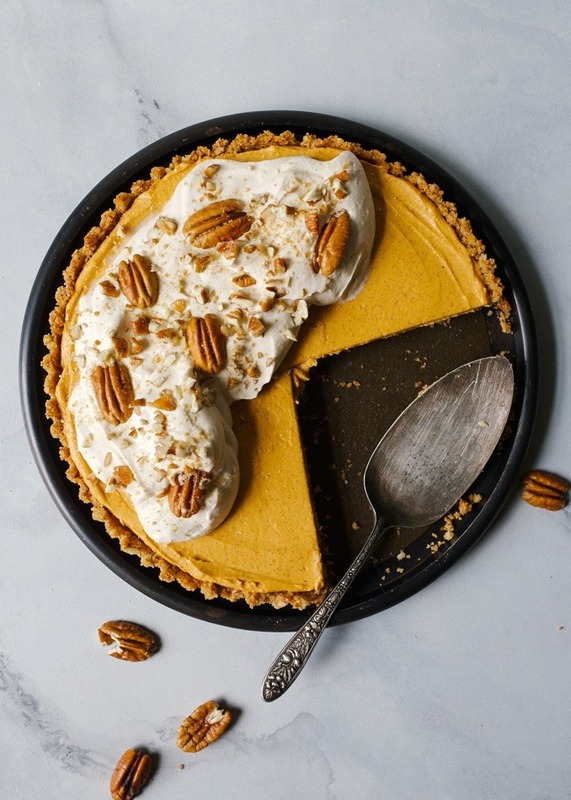 For best results with this pumpkin pecan tart, I recommend filling the crust and finishing off the toppings just before serving. I opted to top the whole thing with a maple whipped cream, but you could certainly bypass that step if you’d prefer. I spooned the whipped cream into a piping bag (or a large plastic bag with the end snipped off!) and squeezed little dollops of fluff all over the pie, but if you’d prefer a simple smear that would work too. Use any leftover pecans or graham cracker crumbs to garnish the top for a pretty finish, and it will be so cute that I promise your friends won’t guess how easy this little guy was to make. 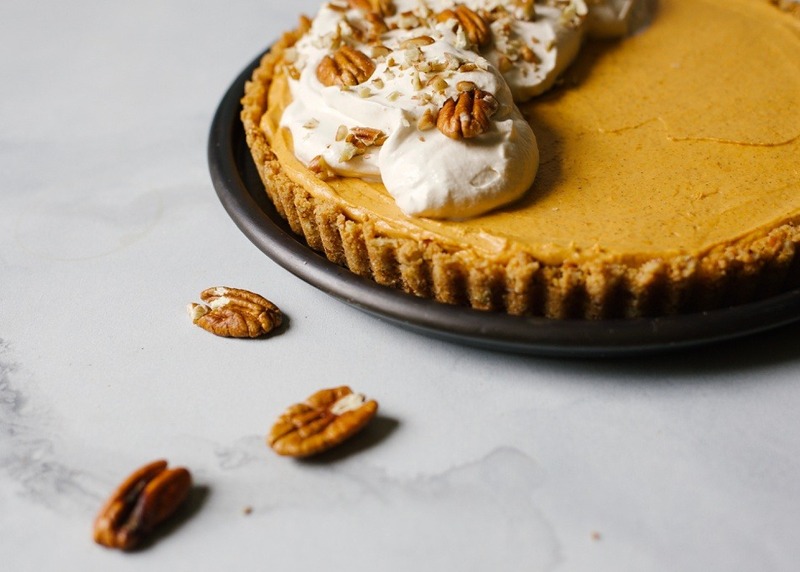 This pumpkin pecan tart would make an excellent addition at your next supper club, Thanksgiving dinner, or Sunday afternoon lunch. I love how quickly the treat comes together and the flavors are so seriously autumnal that it just feels right. 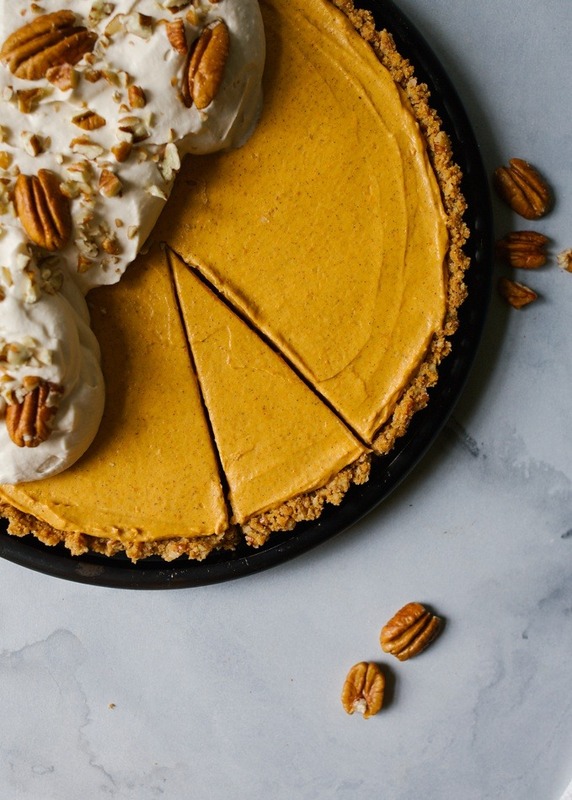 In the event that pumpkin tarts aren’t your thing (okay, but seriously, who even are you?) 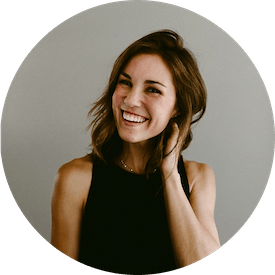 my friend Sara has rounded up a whole bunch of other bloggers who are sharing pumpkin recipes today as well. There’s everything from pumpkin babka to pumpkin couscous to pumpkin granola- almost 70 recipes in all! Check out the whole list here and get in the swing of fall this week. I think it’s about time. Have an enormously joyful and fulfilling week and stop by here again on Friday. I may or may not be sharing another killer recipe on Friday (hint: I am). Happy Monday and happy baking! 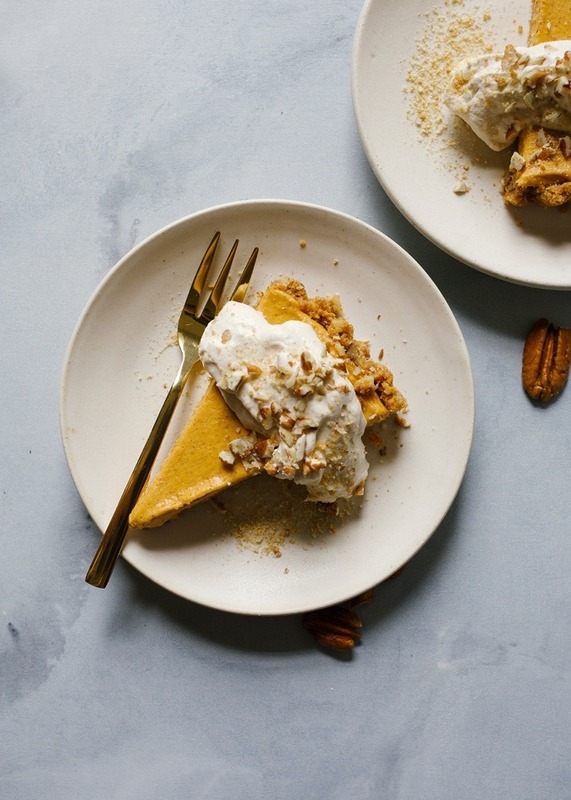 This pumpkin pecan tart has a no-bake filling and a maple whipped cream topping. Served chilled, this dessert is a simple treat for fall gatherings! Whip the heavy whipping cream on medium-low speed until frothy and barely beginning to thicken. Add the maple syrup and vanilla extract and bean until stiff peaks. Spread or pipe the cream onto the prepared pie and serve immediately! Can the pie part be made the night before then make the whipped cream right before serving? hey girl- this tart looks amazing! yummy for my tummy! so good! I hope you’ll try! hey lady!!! you are the pumpkin queen so I will take that as an epic compliment. Fall just seemed to hit us in the head when we weren’t looking. One minute we’re sweating our booty off & seeking every bit of air conditioning comfort we can come across, then the next. . . well. . .we’re digging through our closets trying to find a decent sweater to wear. . no make that coat. Mother Nature, she has a knack for confusing me these days. But there is nothing confusing about this orange beauty. Loving that you replaced the traditional crust with a little nutty goodness – I always did have a soft spot for a good nut crust. Sad I missed pumpkin week this year. . .but will definitely be loading up my fall baking Pinterest board with all these goodies. isn’t that the truth!!!! the crust truly is to die for. hugs to you! All my favorite autumn flavors in one recipe? Yes please!! This will be on my table ASAP. Love! I think you’d like this one mama! do you think you could do coconut cream instead of cream cheese for dairy free? Most no bake recipes call for gelatin so I assume this one isn’t quite as solidified? Looks beautiful, thank you! hmmmm, I don’t think that would be quite thick enough. If you don’t tolerate cream cheese, try a vegan one!